Call The Rhodes Team at 972-899-5600 to see if this property is still available and schedule a showing. Gardener’s Paradise in a Park-like Setting! 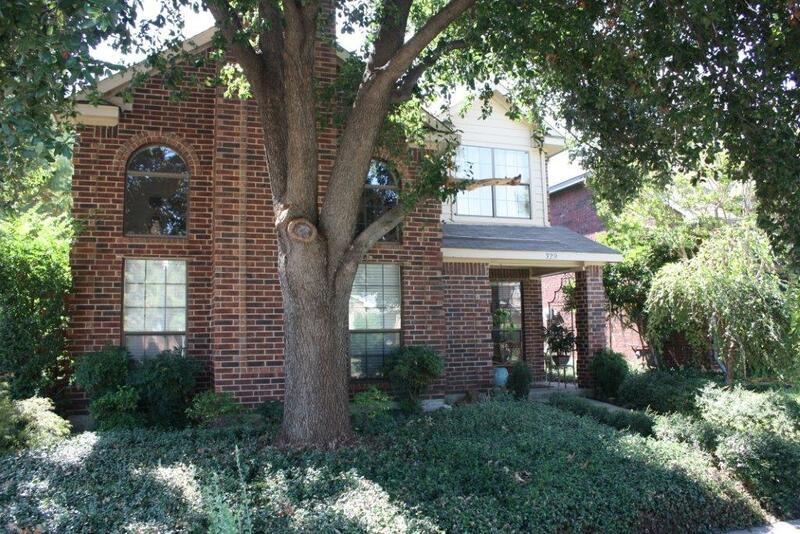 Beautifully updated home located in family oriented Coppell. Enjoy the flexible front room which could make a great Study, Living Room or Dining Room. The Kitchen boasts gorgeous granite countertops & a breakfast bar plus an XL walk-in pantry. Picture yourself in the good sized Family Room featuring soaring ceilings & custom tile mosaic. Home includes extensive slate flooring upgrading lighting fixtures & an updated powder Bath. Lush landscaping & stone work frame out the lot with an efficient rainwater collection system, recent fence & Trane XL20 HVAC unit to help save energy and lower electric bills. Summer Place of Coppell is a great neighborhood in one of the top cities in the Dallas/Fort Worth Metroplex. This great home is only a few blocks from the intersection of N Denton Tap and Sandy Lake which offers a variety of food choices from fast food (MooYah Burgers, McDonalds, Chipotle & More) to sit down (7 Salsas, Anamias, J Macklin’s Grill & More). Also, it is only a short drive to main highways and easy access to both Dallas & Forth Worth as well as the DFW International Airport. The Rhodes Team is a top-tier team with an annual consistency amongst the highest ranks of Keller Williams Realty nationwide. We are dedicated to expressing the highest level of customer service and providing a smooth and enjoyable real estate experience. If you have any questions regarding this or any other area home, please give us a call @ 972-899-5600. We would love the opportunity to help with all of your real estate needs!